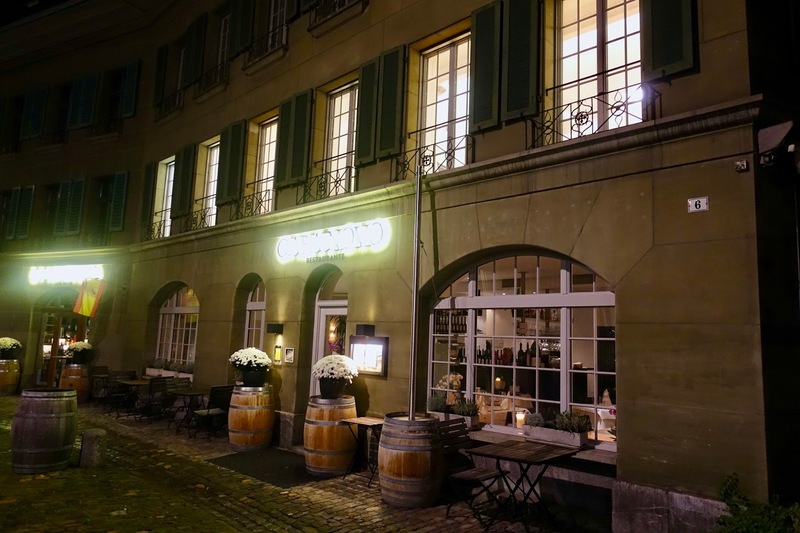 Bern, capital of Switzerland, has not only a beautiful historic old town – a UNESCO World Heritage Site –, but also a great number of recommended fine dining spots. After having had a great dinner at Restaurant Mille Sens with Asian inspired cuisine, I made another amazing culinary discovery, this time Restaurant Casa Novo with modern Mediterranean influenced food. The restaurant’s setting is exceptionally beautiful! It is situated on a quiet square in the oldest part of the city, the lower old town, directly on the river of Aare. There are a restaurant, a vinoteca and two terraces, one of them directly above the water. 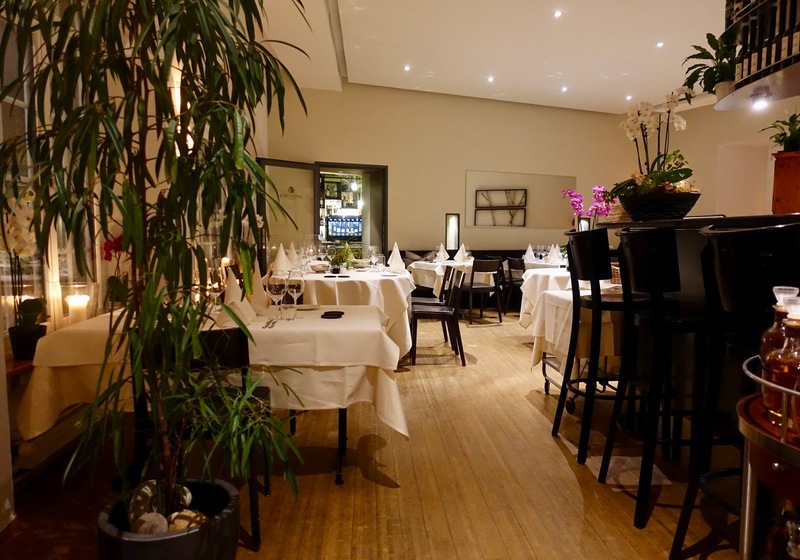 Casa Novo, awarded 14 points from Gault-Millau, has been family-owned for a bit more than 10 years and is managed by father and son. The owner family has Spanish roots and this shows. There is Mediterranean food, modernly interpreted, on offer. You can either choose from the tapas menu, 3 to 4 courses from the set menu or from the a la carte menu with classic dishes. 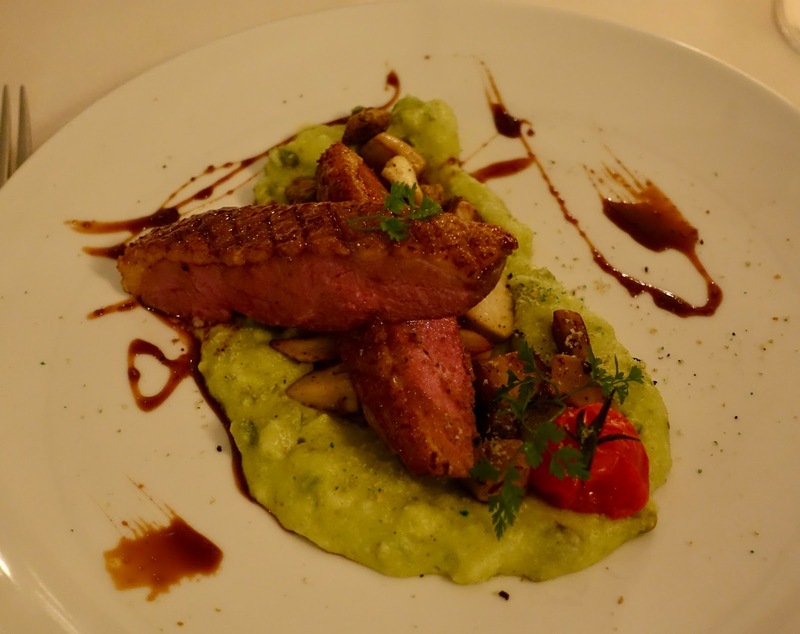 Dining at Casa Novo is not a bargain by any means, but when going for the set menu "damage" can be limited. On the occasion of my visit together with my husband and friends, we opted for 3 courses from the set menu where you could choose from 3 starters, mains and desserts each. As every dish on the menu sounded delightful, it was very difficult for me to decide which one to chose. 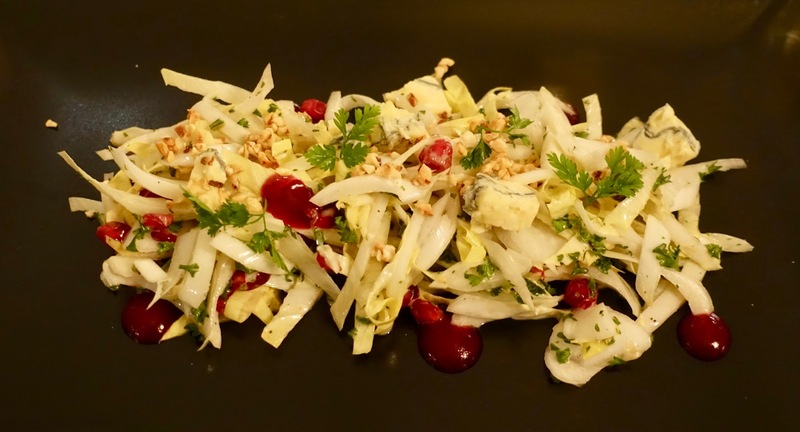 When it comes to starters, I liked the chicory pear salad with blue cheese, hazelnuts and pomegranate, which was nicely arranged, blended perfectly and palatable yet light. As to the mains, I was equally impressed by the sauteed scallops with nutbutter, red beet risotto and absinth fennel as well as by the duck breast with juniper glazing, pistachio polenta and porcini. 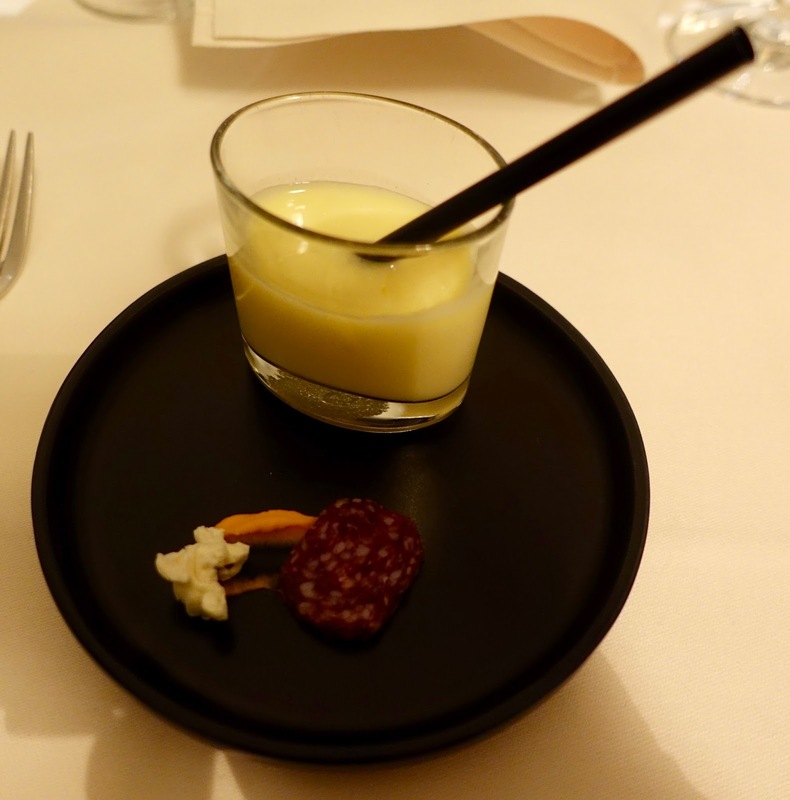 Both were inventive creations, impeccably prepared and big on flavor. 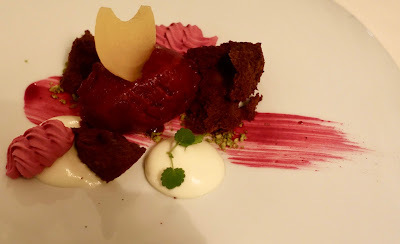 When it comes to desserts, I was absolutely in love with my adventurous variation of cassis, red beet and white chocolate. These 3 flavors harmonized well and pleased the eye and the stomach likewise. If you are into contemporarily styled restaurants, then this is the place to go. The interior with the wooden floor, the chic yet simple black chairs and the white tablecloths make an optimal fit together with the ancient building’s exterior. When you enter the restaurant, you feel immediately at ease because the staff does everything to make you feel welcome. That has certainly to do with the warmth typical for Spanish people. Service is accommodative and prompt but unobtrusive. Casa Novo is a stunning property in an idyllic part of Berne’s old town and one of few restaurants in Switzerland’s capital where you can eat directly on the river of Aare. You immediately feel welcome when entering the premises, probably because of the prevailing Spanish hospitability. 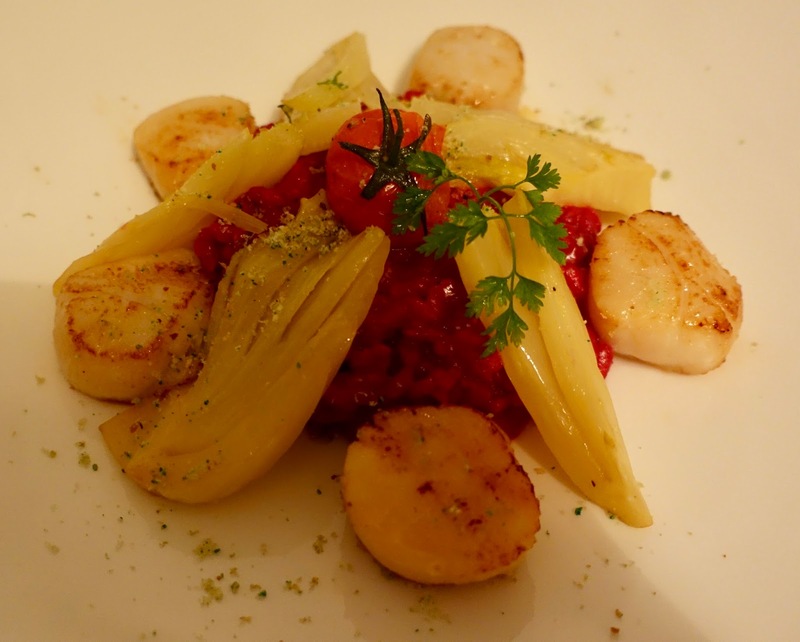 The contemporarily styled restaurant offers Mediterranean food, modernly interpreted and prepared to perfection.